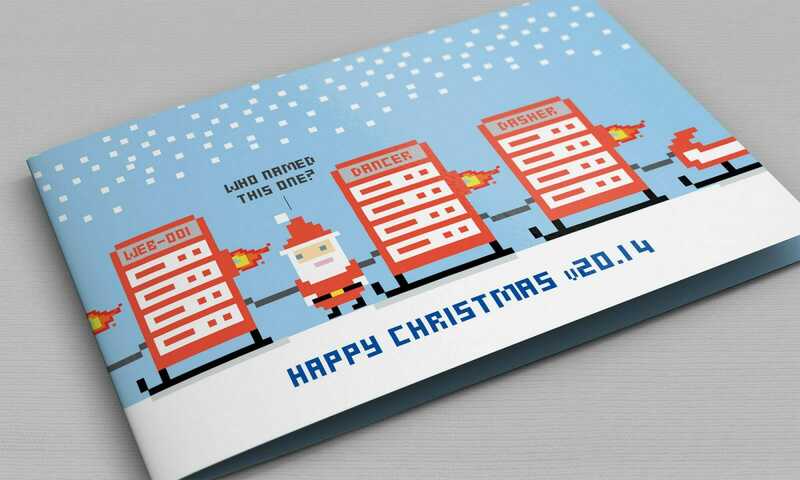 Pixel-art Christmas cards over the years for a leading webhost. 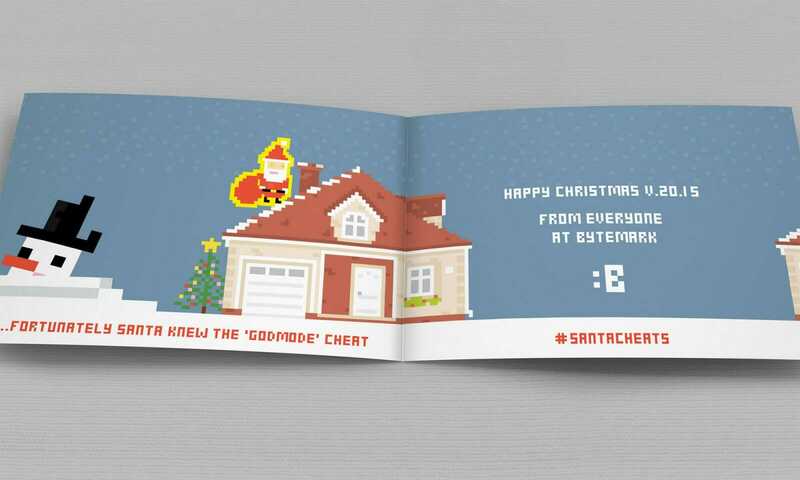 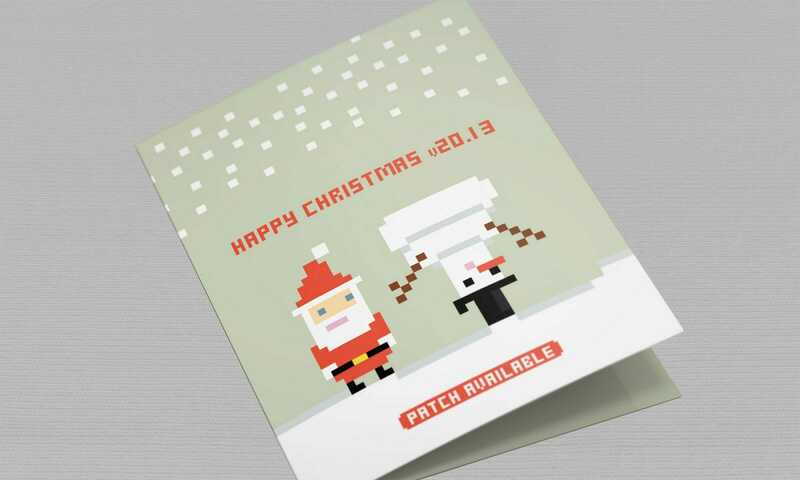 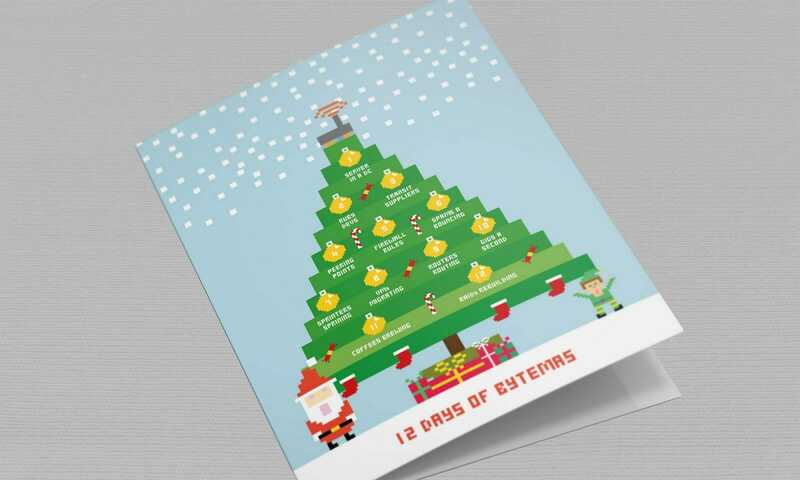 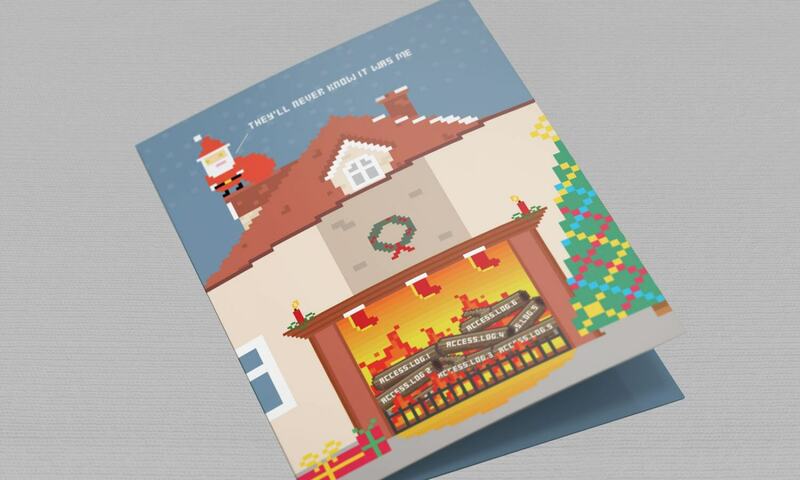 Customers of Bytemark, a leading web hosting provider, receive these pixel art Christmas cards every year. 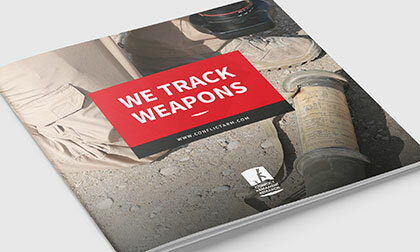 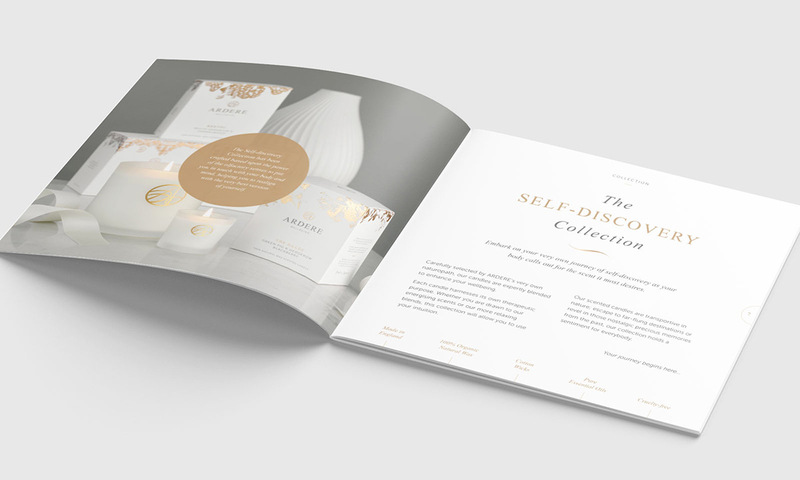 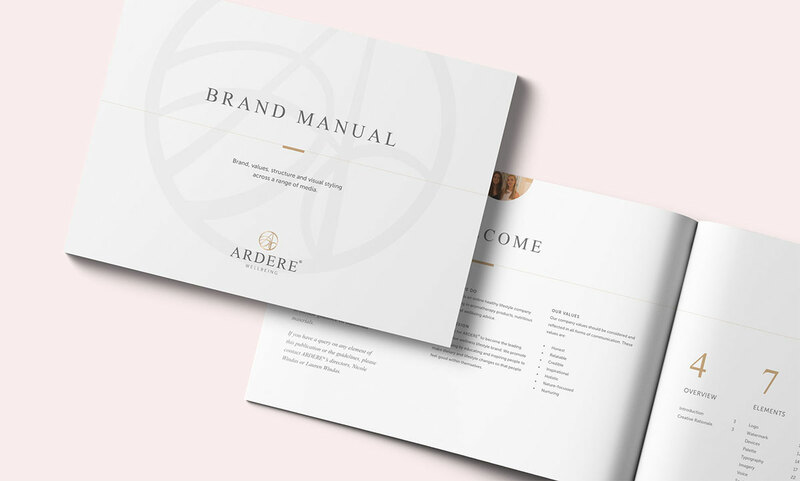 The requirement is normally ‘something geeky’ so each year I either provide a concept based on something I find particularly relevant or a topic which have been provided by Bytemark. 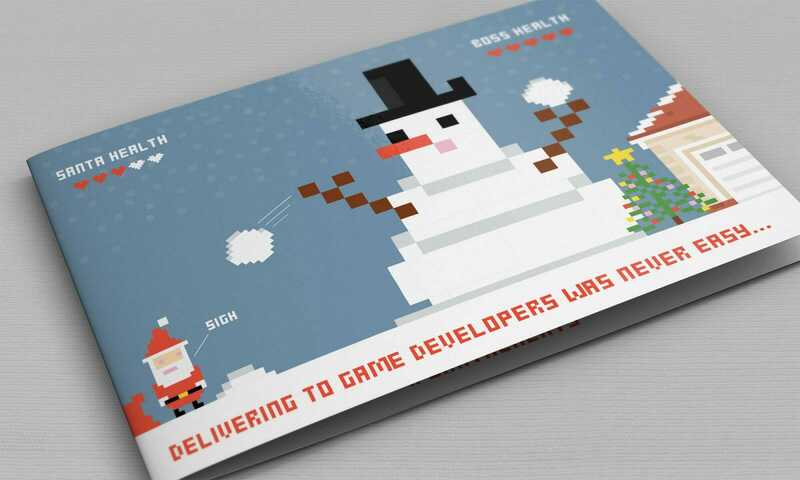 I have used the same style of pixel art in order to create a visual link between cards as well as using the same Father Christmas – thus each card provides a continual narrative of being a Santa in a tech filled universe.